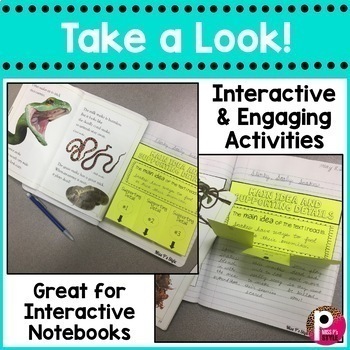 These flaps are great when using interactive notebooks or student reading skill activities outside of the notebook by gluing these on construction paper! 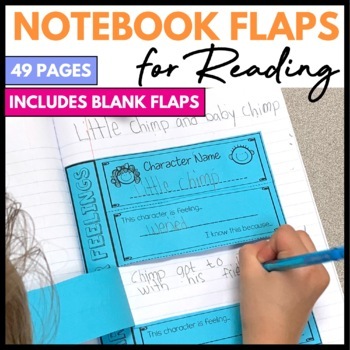 There are 44 flaps included and they are student friendly and hands-on! Low prep! Easy to use! All cuts can use cut ahead of time with a paper cutter or can be cut by students. 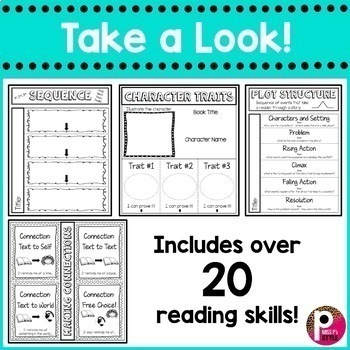 There are different notebook flap options available for each of the skills. They print great in black/white or on colored paper! Pictures and suggestions for use are included to provide a visual for the interactive flaps! 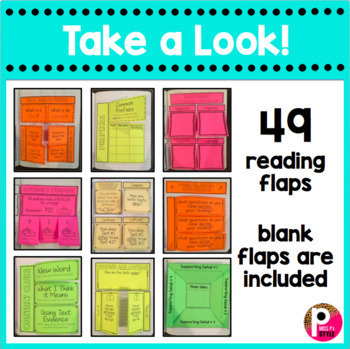 Blank flaps are also included at the end for teacher/student created inserts! If there are any reading skill flaps you would like included that are not in this set, please email your suggestions to MissPsStyle@gmail.com and I would be happy to make them and add them to the set! Join my E-MAIL LIST to receive helpful tips, resources, and more!